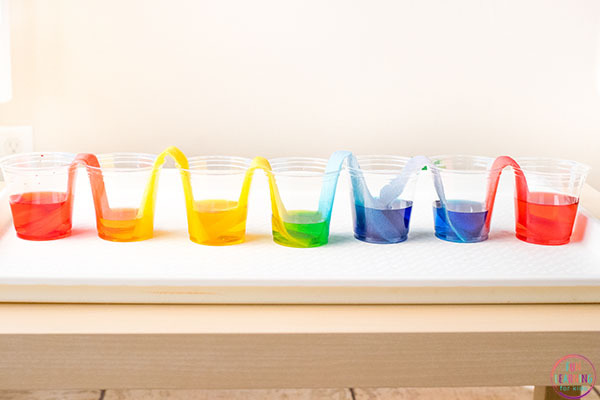 This walking water science experiment is so much fun and super easy to do! 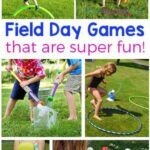 My kids absolutely loved it! 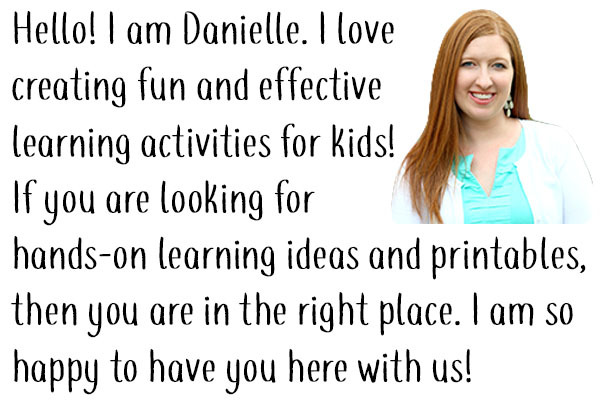 It even comes with free printable recording sheets for kids as young as preschool! 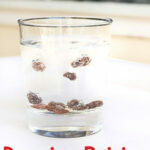 Check out the video to see how easy this walking water experiment really is. 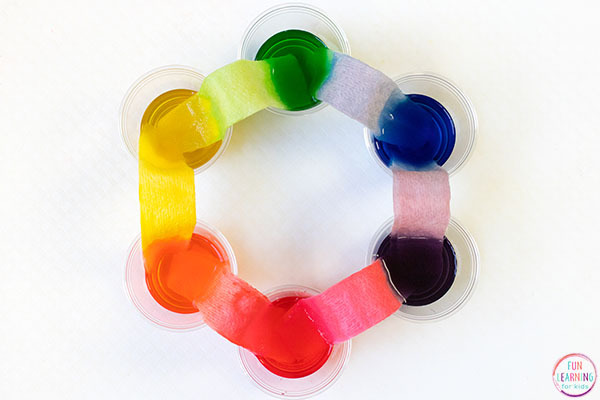 This rainbow activity is perfect for spring science! 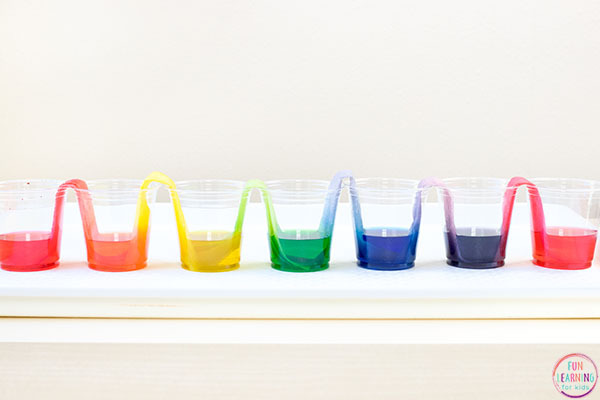 Ok, this might just be our favorite science experiment! The whole family (adults included) were completely mesmerized with process. We all couldn’t believe how quickly the water traveled up the paper towel and neat it was to watch the colors mix together. We have wanted to try it out for a long time now and I am kicking myself for waiting so long. I don’t know why, but I thought it might be difficult to do or take a long time. I was way wrong. It was very easy and we started seeing results right away! 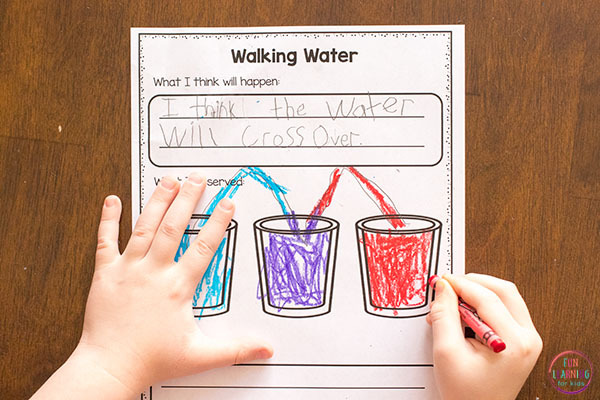 The walking water science experiment is great at any time of the year, but it is especially perfect for spring. 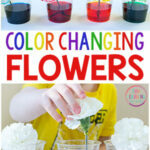 I love doing rainbow activities in the spring, so this was a great addition to our rainbow theme activities. 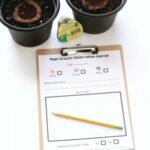 If you are looking for simple science to do with the kids and something that will really WOW them, this is definitely one to try. You only need a few simple supplies that you probably already have around the house. * The pick-a-size paper towels are best because then you just use half sheets for each cup. If you only have full sheets, then cut them in half. I’ve also heard that more absorbent paper towels work better too. I buy the cheap store brand ones, and our water moved pretty quickly from cup to cup, so I am not sure how important that is. It may have went quicker with something more absorbent though. 1. Print out the recording sheets and make copies, if needed. 2. Place 7 cups in a row and pour water in the 1st, 3rd, 5th, and 7th cup. My cups were about 3/4 full. I have since heard that fuller is better. 3. 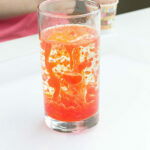 Add 5 drops of red food coloring to the 1st cup and the 7th cup. 4. 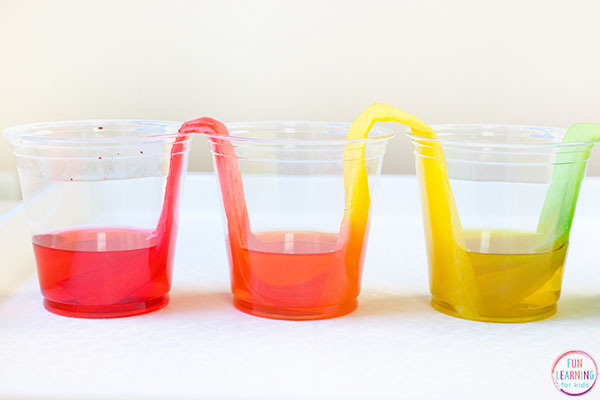 Add 5 drops of yellow food coloring to the 3rd cup. 5. 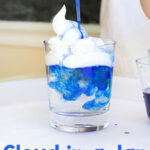 Add 5 drops of blue food coloring to the 5th cup. 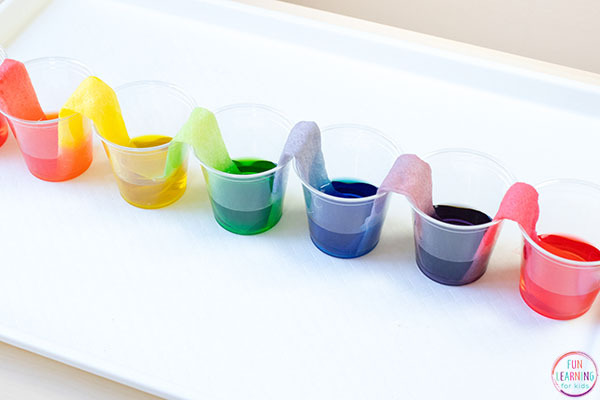 You want to try to use the same amount of food coloring in each cup. When I did this with my kids they did drop an extra one or two in since they can’t control it well, but I just added a drop or two more to the others to even it out. 6. Take a half sheet of paper towel and fold it in half lengthwise and in half again lengthwise. 7. Trim off some of the length so that there isn’t too much excess paper towel that will stick up in the air between each cup. This will make the water walk more quickly. 8. Place one half of a rolled paper towel in the 1st cup and place the other half in the cup next to it. Then another paper towel from 2nd cup and into the 3rd cup. This continues until you have placed the last paper towel that drapes over from the 6th cup to the 7th cup. 9. Stare at the cups and watch what starts happening. You should quickly be able to see the colored water begin to crawl up the paper towel. 10. Don’t forget to do the first part of the recording sheet. Students will predict what they think will happen. This walking water experiment is AWESOME! Keep checking back every couple of minutes. Soon you will be able to see that the water has crawled all the way up the paper towel and is beginning to walk back down into the empty cup next to it. 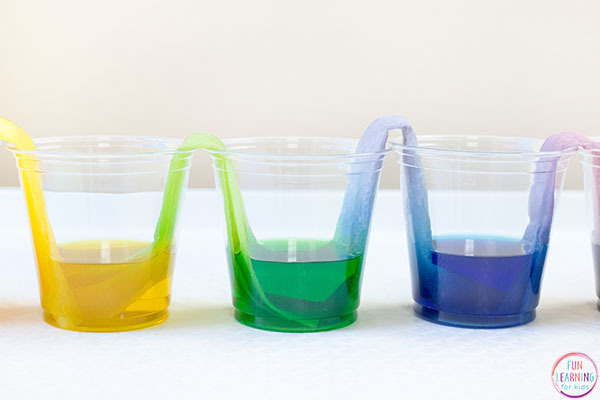 Since the cup on either side of an empty cup has colored water in it, the two colors begin to mix in the empty cup. So cool! Keep coming back throughout the two hours or soon and observe what is happening. What do you think will happen to the water? Why do you think the colors are changing? Why might the water be able to move up against gravity like that? 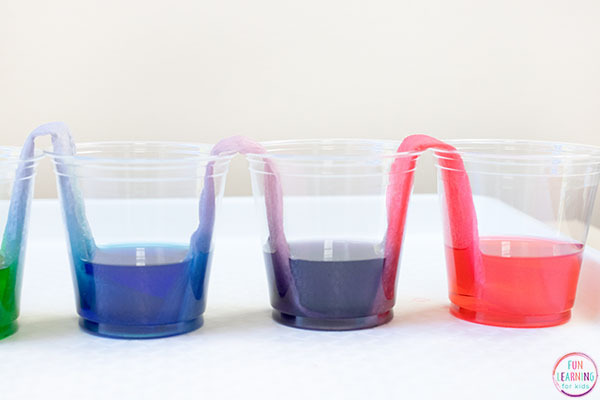 The water moves up the paper towels through a process called capillary action. The paper towel is made from fibers and the water is able to travel through the gaps in the fibers. The gaps in the paper towel act like capillary tubes and pull the water upward. This is what helps water climb from a plant’s roots to the leaves at the top of the plant or tree. The water is able to move upward against gravity because of the attractive forces between the water and the fibers in the paper towel. I even removed one of the red cups and made a color wheel so I could introduce the kids to that as well. 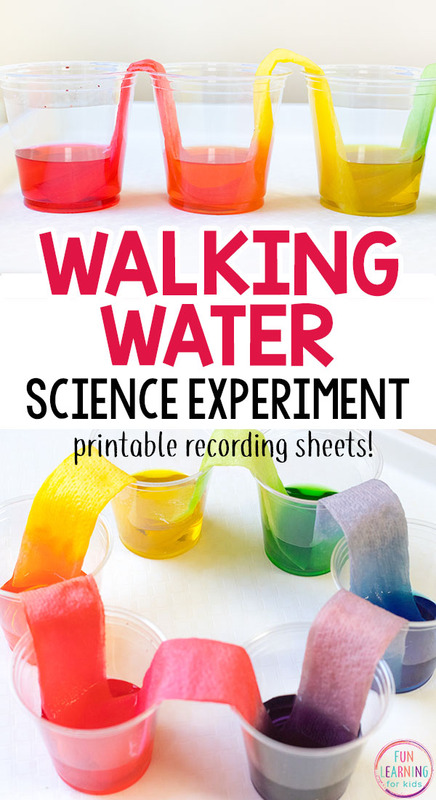 I hope your kids have a great time with this super cool walking water science experiment! 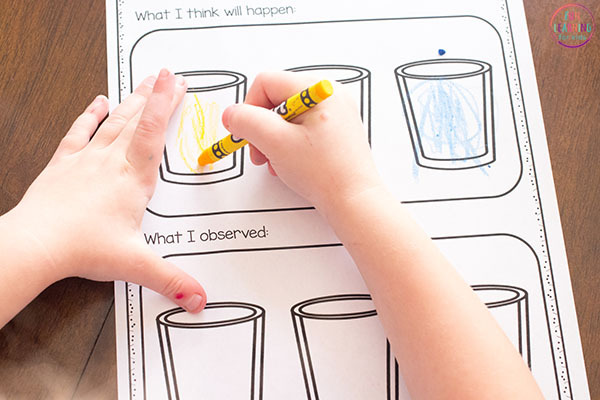 Check out these other science experiments and activities for kids. 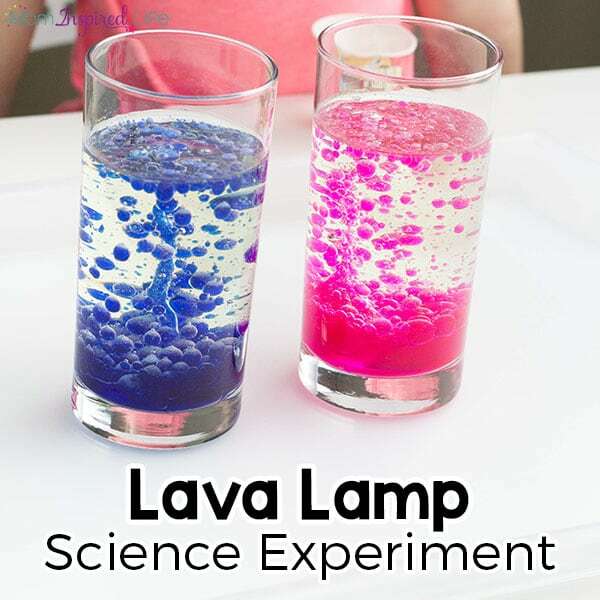 This lava lamp science experiment is always a hit with the kids! 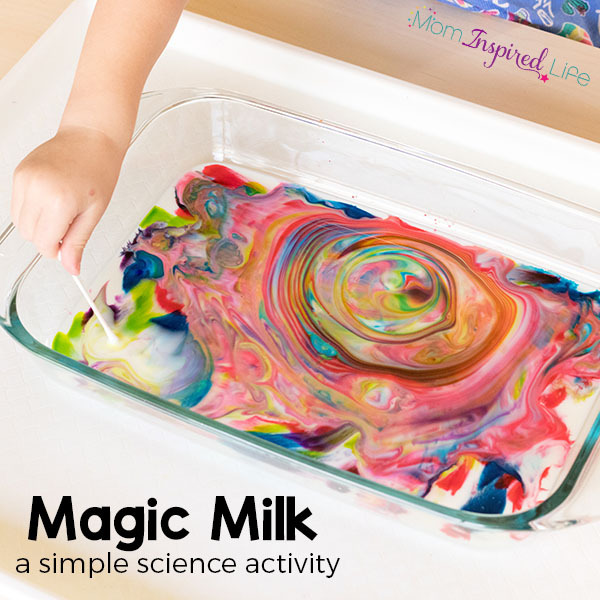 If you haven’t tried this magic milk science activity, you have to! It is so awesome and super easy to do. 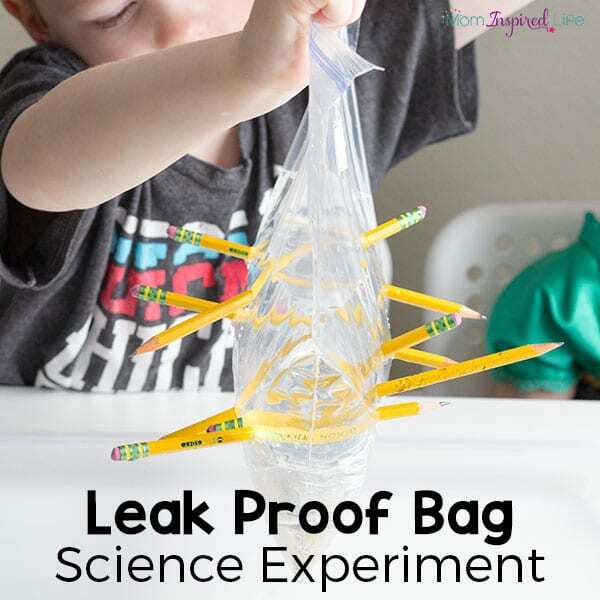 This leak proof bag science experiment will make your kids jaw drop! It’s hard to believe, but it works.